Let us introduce you to our team. Andreas founded this company in 2004 when it was known as AGs GPS & Land Surveys. He has been the director of AG Surveys Limited since its incorporation in 2012. 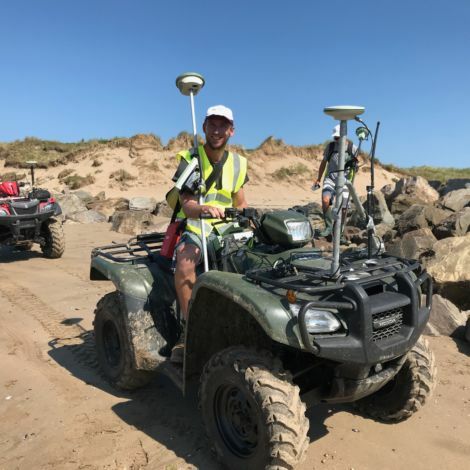 Andreas studied Geomatics and Photogrammetry at the University of Applied Science, Neubrandenburg, Germany and after finishing his Masters degree course he started his first employment as a Photogrammetrist and Land Surveyor for Simmons Mapping in Axbridge UK (now Cyient- Europe Ltd). He gained further experience working as a senior surveyor and project manager for Atkins Survey and Mapping. He has gained a wealth of experience managing many different survey projects from small to large including our 5 year involvement in South West Coastal Monitoring Programme. Andreas is proficient in control network design and processing and in the theoretical and practical design of survey methodologies. His role within the company involves setting up and managing projects, strategy and business development. He is using his experience in imagery to undertake our architectural photography. After acquiring a Masters degree in Geodesy and Land Surveying at Sofia University in Bulgaria, Yordan’s first role as a land surveyor was for an Engineering company in Sofia. He then moved to the UK to gain further work experience where he joined AG Surveys in 2015. His first job as a land surveyor was to work on the Motorway Network control project for Highways England, this involved measuring PCM’s (Permanent Control Markers) on 5000 miles of the UK trunk roads. He has since worked on a wide variety of measured survey work from beaches to road and rail projects. His specialism is in GNSS antenna calibration after writing a dissertation on this very subject for his degree. 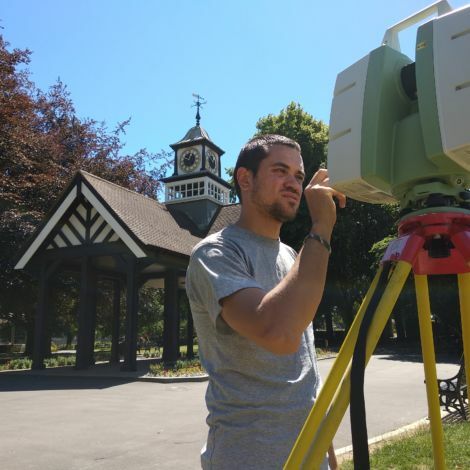 Petar joined the company in 2016 after completing a Master’s degree in Geodesy from the University of Architecture, Civil Engineering and Geodesy in Sofia, Bulgaria. Before coming to the UK he has worked as a Land Surveyor in Sofia where he gained a wealth of experience in highway and airport projects, as well as GIS data processing and spatial analysis. 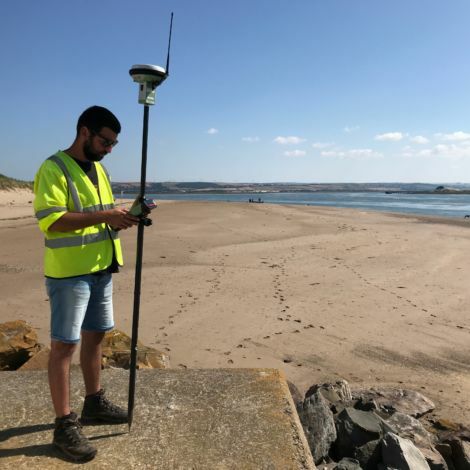 With AG Surveys he is strongly involved with the Beach Monitoring programme and responsible for undertaking different types of topographical surveys. Darina has brought her expertise of data handling from her previous role in Bulgaria. She qualified with a Masters degree in Geodesy from the University of Architecture, Civil Engineering and Geodesy in Sofia. 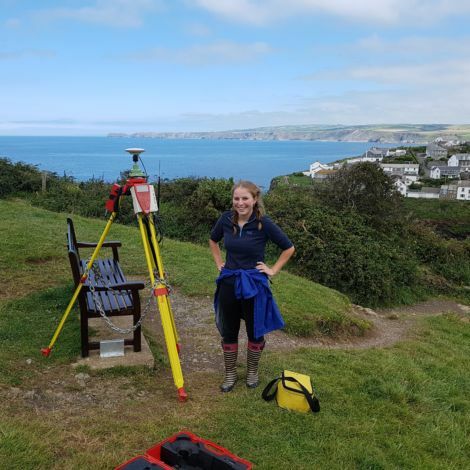 Joining us in 2016, she works both in the office and as a land surveyor when required and most recently has worked measuring many of the beaches on the south west coastal monitoring programme as well as being responsible for outputting the data and ensuring targets are met. 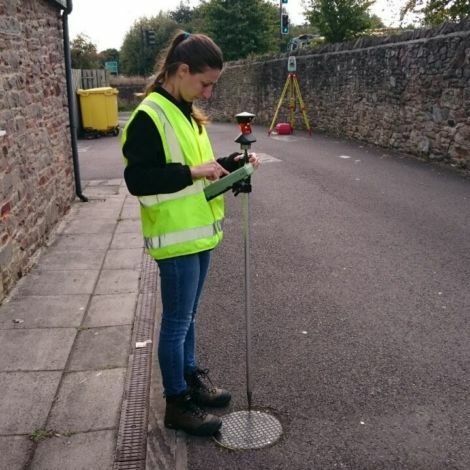 Her office based skills have been utilised for the drone and laser scanning data processing. Ruth mainly works in the office sorting out all the administration for the business. Her background in running her own business has meant she can adapt her skills and knowledge to ensure the smooth running of the office and book keeping. 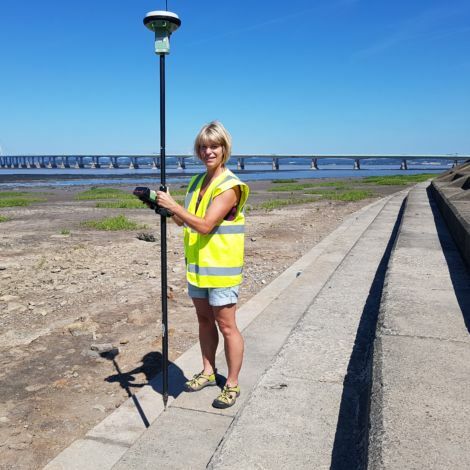 Her interest in surveying and the outdoors has meant she occasionally helps out assisting the land surveyor on site trips and she is more than happy to get out the office especially on a nice day! Ruth has spent long weeks away on site in the past, working on the Ordnance Survey rural map revision programme for the field verifications. There are a number of freelance land surveying assistants who work with us at certain times. Work for them is usually pre-planned and their helping hand is welcome on our beach framework or other short notice projects, when staffing levels are low.